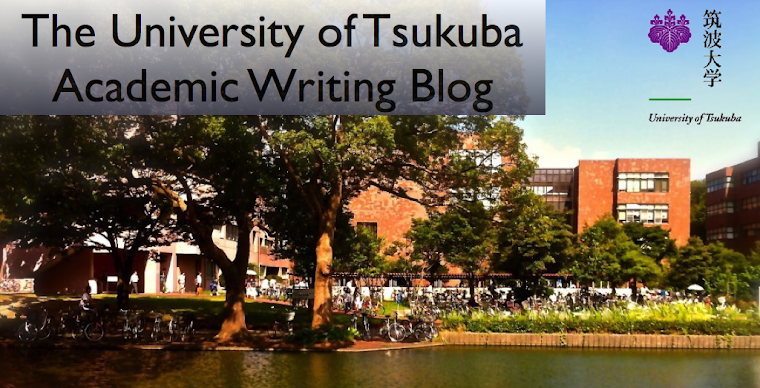 The University of Tsukuba Academic Writing Blog: My Life at the University of Tsukuba is wonderful by Aya O. My Life at the University of Tsukuba is wonderful by Aya O. My life at the University of Tsukuba is wonderful for three reasons. First, nursing classes are very interesting. Last September, I went to the hospital attached to this university. There were many sick people. At first, I didn't know how I am communicate with patients, but later I was able to. Second, my part-time job is good. I work in a cram school. I teach junior high school students math and science three times a week. As high school entrance examination approaches, they study more seriously. Their examination will come soon! I want to them pass the examination. Third, I enjoy volunteerism. I work in a children’s house, which take care of children after school. We often enjoy playing Yuubinyasan. It is a popular jumping rope game among elementary school students. Two people turn the rope and sing a song, the others are jump the rope to the song. Someone who stay till the last is win. Some children enjoy folding paper. They create animals and flowers from a square paper. They are very cute and powerful, cute! I like children and communicate with a lot of people. So I enjoy my life at University of Tsukuba very much. I love it!